International students make up 13 percent of the 2022 class, but only 10 percent receive scholarships. For international students, getting financial aid is not easy. Thousands of first-year applicants to the University of Southern California compete for Trustee and Presidential merit scholarships, which are offered to students who apply early and compete for on-campus interviews. Amy Huang is one of seven students from China to receive a full-tuition or half-tuition scholarship to USC in 2017. "It was a relief because USC is so expensive compared to other schools, and it was a huge weight off of my family's shoulders because it was the first U.S. school I was accepted to," Huang said. Huang was one of the more fortunate international admits that year, but still struggled to fill out the Financial Statement of Personal or Family Support, a government-required document guaranteeing international students' ability to pay for the first year of tuition and living expenses in full. USC campus (Photo by Ruby Yuan). "Usually in China we live a good life, but after you convert your annual income you realize you're not really well off in the States," she said. Even completing the requirements to receive the scholarship were a challenge. According to the Office of Admission, travel reimbursement for scholarship finalists is half of air fare or $200, whichever is less. While students taking domestic flights to USC for the on-campus interview are able to be reimbursed completely, that's not the case for international students. "They email you at the end of January and you have a month to get your tickets for the interview. It's like bidding $1,300 on getting $13,000 per semester for the next four years," Huang said. "Every effort is made to accommodate applicants who are unable to travel to campus for their interviews," said a representative from the Office of Admission in an email. USC prides itself on having one of the most diverse student bodies in the country, with more than 10,000 international students in 2017. Of those, only about 2,500 were undergraduates, as reported in the 2017 International Enrollment Fact Sheet. At USC, the majority of the student population is comprised of people of color, with international students making up 13 percent of the class of 2022, according to the first-year student profile. An October email from the office of the Dean of Admission stated, "About 10 percent of freshman international admits are offered a merit scholarship and about half of them end up enrolling." 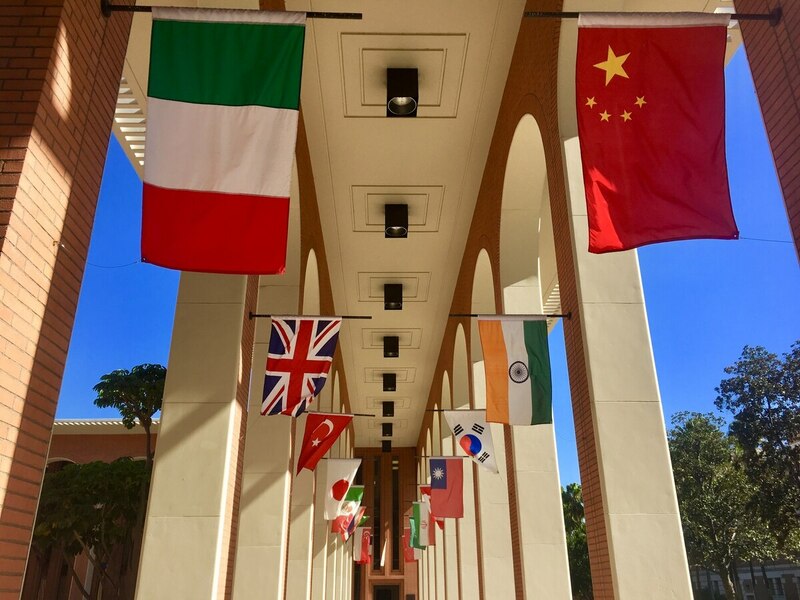 USC led the nation in international students for 12 years in a row, and now has the second-highest international student population for an American university, just behind New York University, according to the Institute of International Education's Open Doors Report. 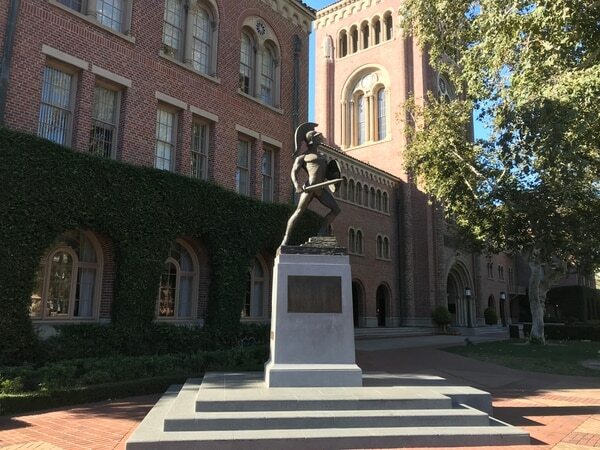 Annual cost of attendance at USC has risen to a whopping $74,825, which includes $55,320 tuition, during the 2018-2019 academic year making it one of the most expensive in the country. And for international students, the price tag is even higher with costs such as flight tickets. Although admissions are need-blind, international students are ineligible for government-funded scholarships, federal work-study and must receive authorization to work off-campus since they are not U.S. citizens or eligible non-citizens, according to the USC Financial Aid website. "It's discouraging that there are so few scholarships available to international students," said Jay Goldstuck, a sophomore from South Africa majoring in film production. "My loans come from South Africa, and the exchange rate is really bad at the moment. I'll basically be paying my loans back with not only interest but also the exchange rate." Goldstuck does not receive any financial aid from the university but receives free housing and a meal plan as a Resident Assistant. "People assume that international students are wealthy, but that's not always the case. People like me put education above everything, so I'm willing to sacrifice my ability to be wealthy in order to get this education," Goldstuck said. Ria Xi is a sophomore studying computer science from Beijing, China. She is also the Chair of Assembly Operations for the International Student Association. "USC's resources are really limited — maybe only two students can get scholarships," she said. According to the Office of Admissions, 20 admitted students from China were awarded merit scholarships in 2017. Seven were awarded Trustee or Presidential scholarships, which covers all tuition or half of tuition, respectively. "The international student body is predominantly on the upper scale of the wealth distribution, so there is not much economic or class diversity in the international student population," Xi said. "But some are not as wealthy as you would think." USC students have a 55 percent chance of moving from lower income levels in childhood to high income levels in adulthood, according to a study on economic diversity by The Upshot, a data-driven New York Times website about politics and policy. The study did not include international student data. Even when an international student faces a life-changing event, they may not be eligible for assistance. In 2017, Meng Ru, a USC student from China, was denied university financial aid after her father suffered a stroke. 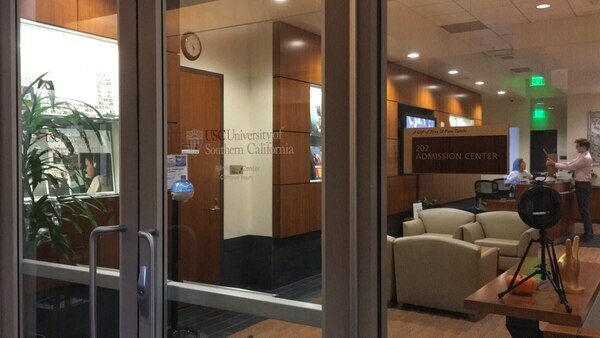 According to Annenberg Media, the USC Financial Aid Office suggested that as an international student, she look for loans instead, but according to the office's website, international students would need a credit-worthy United States citizen or permanent resident to act as co-borrower in order to secure a loan. Without loans, Ru altered her course plan so that she can graduate in three years instead of four to ease the financial burden on her family. 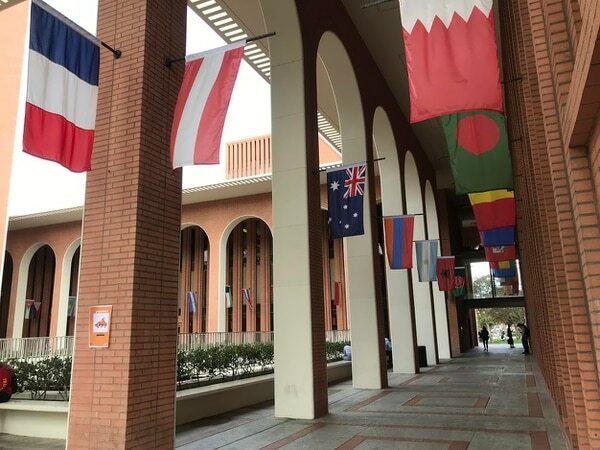 "USC does a great job at advertising itself to international students, but once we're here they don't do anything to guarantee we have the best international experience," Goldstuck said.